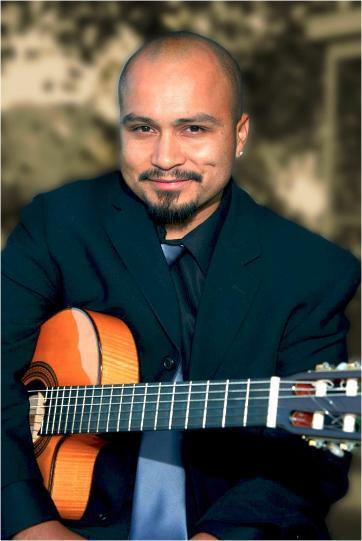 Rico Espinoza Spanish guitarist for weddings and events. Please allow videos to load. "Refresh page" if needed. 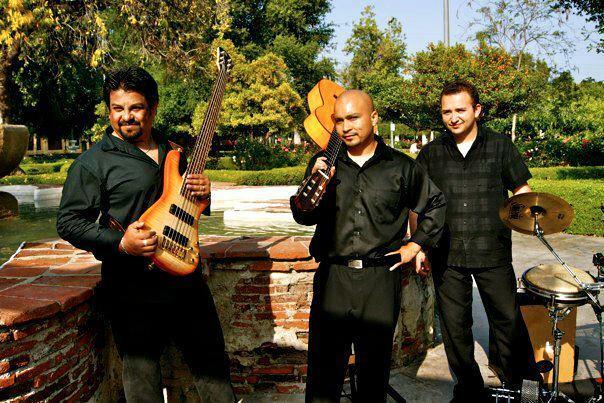 Rico Espinoza's guitar playing is a blend of Spanish flamenco guitar in the style of the Gipsy Kings, Latin melodies, classical, and pop. He takes bits and pieces of everything and puts it all together, making his own sound. You can hear many things going on in his playing; soft and delicate melodies, heavy groovy flamenco rhythms, soft classical arpeggios, loud percussion gipsy rhythms, and colorful chords. His colorful musical palette sets him apart from others. A perfect example of this would be his interpretation of "Human Nature" by Michael Jackson or "A thousand years" by Christina Perri. 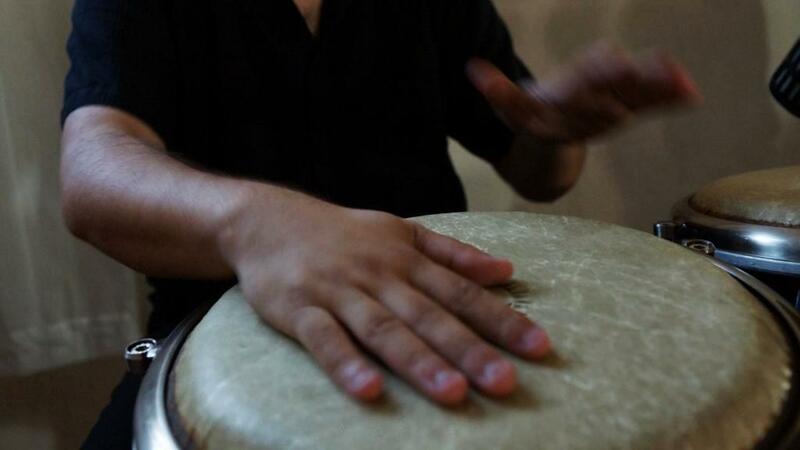 These popular contemporary songs are interpreted with the Spanish Flamenco/Latin/Classical Flare. Rico takes pride in his craft, in his performances, and in his overall professionalism. It is a great feeling of accomplishment and satisfaction for him when he is able to provide outstanding services for his clients. beautiful racing flamenco guitars of the Gipsy Kings. place his fingers on the fretboard. 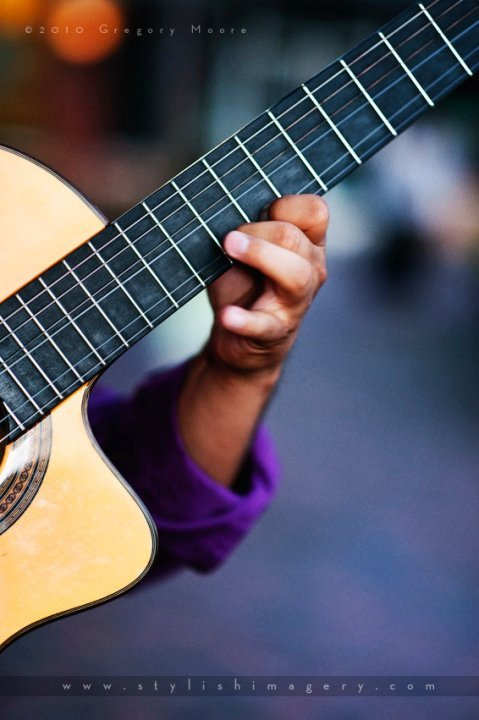 As a teenager around the age of 13, Spanish guitar music became kind of an obsession to him. He purchased every Gipsy King's cassette tape and played them day and night until the cassettes tapes wore out. He strummed his dad's old acoustic guitar along to the cassettes and pretended to be one of the gipsy kings. It got to the point where he went into a music store and bought any cassette tape or CD that had a picture of a Spanish guitar on the cover. Rico worked and saved money to buy himself a Spanish guitar. This was the beginning of his love, passion, and dedication to the Spanish guitar of which he's dedicated so much of his life to. was! Over all I couldn't have chosen a better DJ for my big day! amazing DJ and would absolutely use Rico again!!!! My husband is German, I am Puerto Rican. We had family from all over the world come to our wedding. 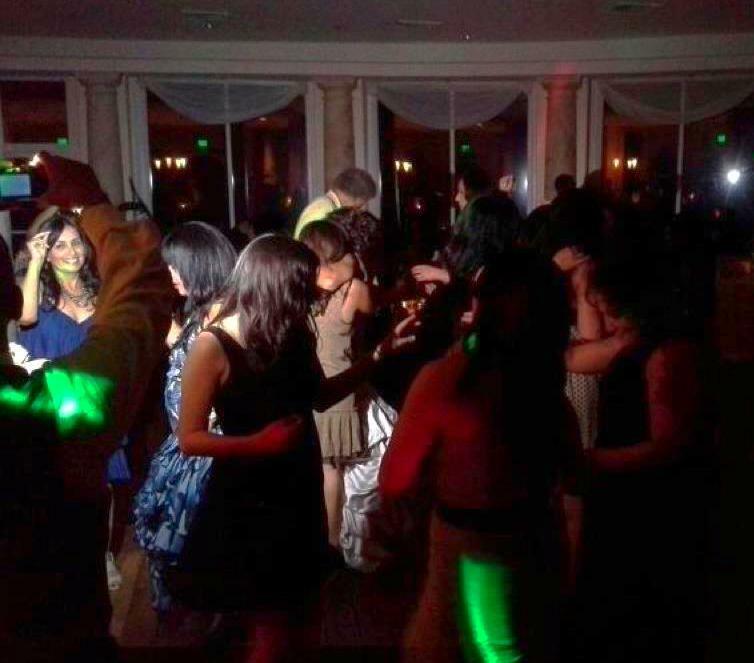 I needed a DJ that was fun, professional and had a variety of music. 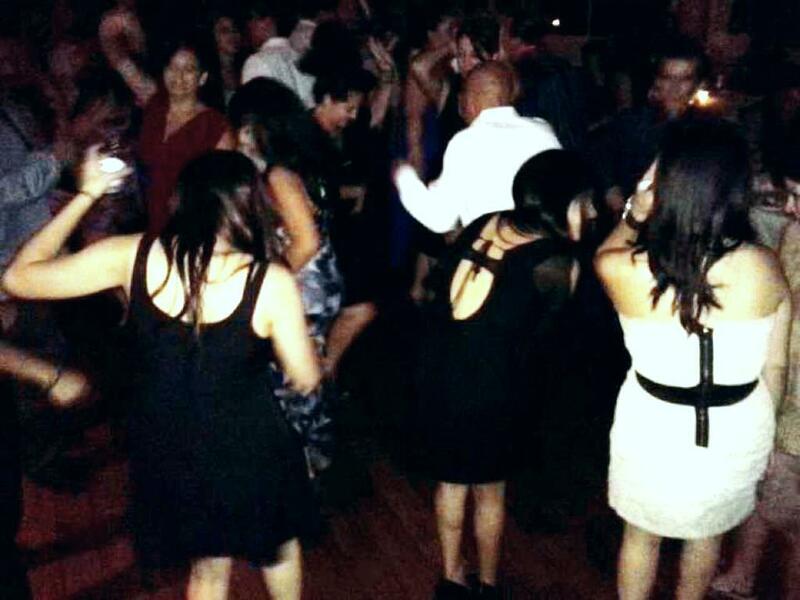 My family loves to dance salsa, merengue basically all kinds of Latin music. My husband loves old school punk, and I also love classic rock. As most brides, I was a little stressed and wanted to make sure every guest was happy. Rico was easy to communicate with before the wedding. He arrived early to set up. He looked and acted professional at all times. And once Rico started playing his magic, my stress was relieved. The dance floor was full the entire night. The guest didn't want to the party to end. Thanks so much! Your talent and services really made the party. 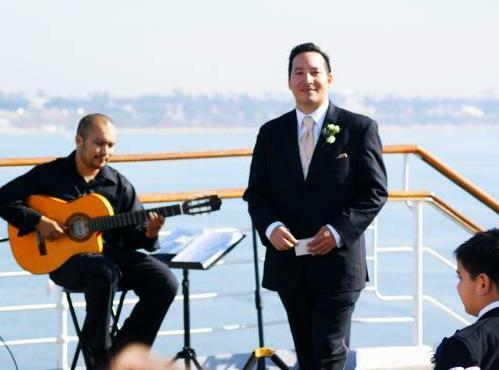 Rico was hired to play live guitar at our wedding ceremony, DJ the cocktail hour, and perform live guitar at the reception thereafter. My wife and I could not be happier with Rico's services. With the level of stress and anxiety that comes with wedding planning, Rico was someone we could fully trust with the details leading up to the event due to his professionalism. Not to mention that Rico delivered exactly the feel and ambiance that we desired. I hope the importance of his craft does not go unnoticed as he helped create a perfect day for us and we are forever thankful. Rico Espinoza was very professional and highly talented, when it came to live music he left everyone mesmerized, when he did his DJ services he was great!!! He really knew how to get the crowd going. I WOULD DEFINITELY RECOMMEND RICO ESPINOZA ANYTIME TO ANYONE. THANKS RICO , YOU SHOULD THINK ABOUT CHANGING YOUR NAME TO RICO SUAVE!! 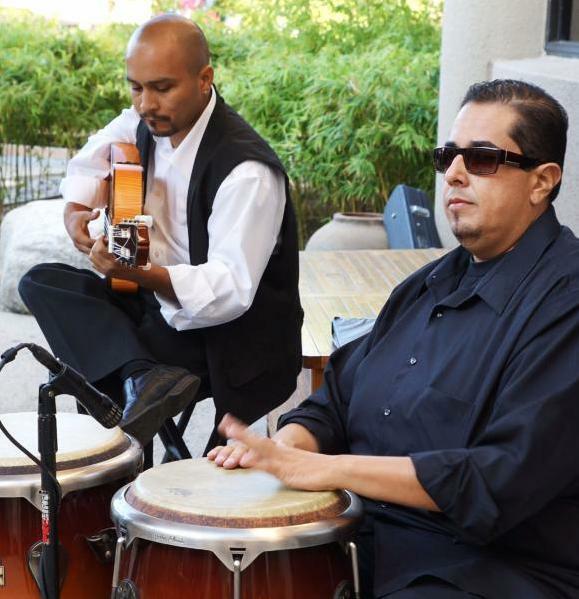 Rico, Thank you (and Angel/percussionist), for making our Cinco de Mayo event so enjoyable. You are a warm and talented guitarists and our friends thoroughly loved the music! We're talking about making this an annual event...we'll keep you posted. Rico was awesome since the first minute I booked him he called me right away to make sure what songs my Family liked. He was very professional and polite. He never played one song we did not like. He kept us dancing through out the whole night. I will recommend Rico Entertainment he has been the best DJ I have herd and booked in a long time, I will most definitely hire Rico entertainment again. Rico was excellent and handled concerns with such great professionalism. He was available to answer all my phone calls and patiently answered all my questions. definitely a great DJ choice. Rico Espinoza Trio were my opening act and they set the stage for an explosive evening of music, they were truly professional and put on an incredible show and all my guests that were there for my 50 B-Day wanted more. I am going to have an event in Jan 09 and have no reservations in having Rico and his Band play for my guests and me again. 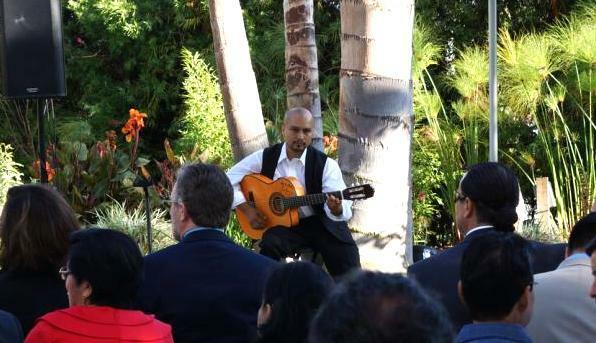 Rico Espinoza was hired to play his guitar at our engagement party. We found him online and were not sure what to expect. He showed up very early to set up, tune his guitar and get ready. We were so impressed with his professionalism! He was very friendly and his music was amazing! Rico's presence and playing gave our engagement party such great ambiance! All of our friends were so impressed by him and his talent! I would recommend Rico Espinoza to anyone. He played his heart out for two hours! He was the best part of our party. Thank you Rico! I liked that he was very polite and looked great. The intimate setting was what I was looking for and he complimented that feeling perfectly. He did not try to hard sell himself to my guests or eat like a slob. I would not hesitate to hire him again. Rico, thank you for your professionalism and outstanding performance! I hope you will be available for the next event. Rico Espinoza performed at our art gallery on 3/28/09 in honor of Muriel Olguin. 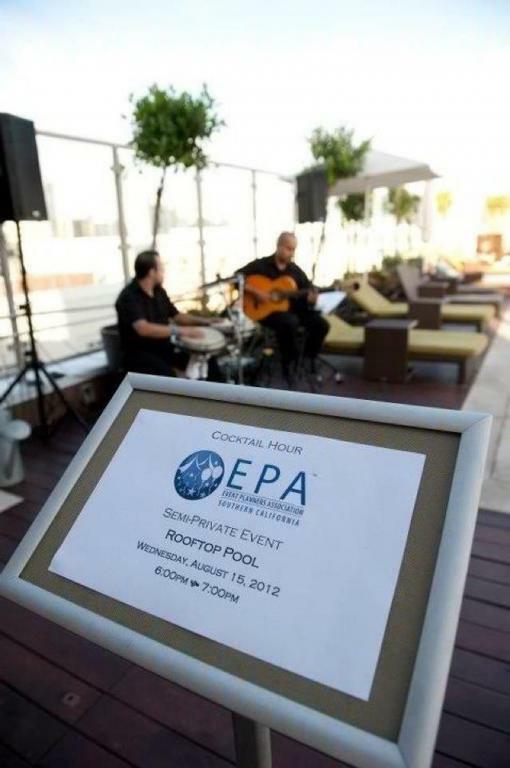 The event was a beautiful success, thanks in part to the performance of Mr. Espinoza. The music was enchanting and we were captivated by Mr. Espinoza's playing. We heartily recommend him as a talented professional who was also courteous and punctual. Many thanks to Mr. Espinoza and his percussionist Junior. Rico arrived early to set up and waited until all the guests had left to break down. He delivered exactly what we asked for. Our Open House was made more special and enhanced by his beautiful music. Rico and his partner provided excellent entertainment at our group reception. He was very professional and the music was perfect during dinner. Many people commented on how much they enjoyed the music and asked for Rico's card. We would definitely use him again in the future! We were so lucky to find Rico and Junior almost by accident. The reason we went with him initially was his beautiful music and professional and quick responses to e-mails and phone calls. We had a small outdoor wedding and could not have asked for better music. They were there early for set up, and had everything in place long before I expected. All of our guests commented either to my wife and me or directly to Rico about how fantastic they sounded. I would recommend Rico and Junior to anyone. Having live, acoustic guitar envelop the background of our beach wedding was a key element to our ambiance. We requested a few specific songs of Rico, and he was able to accommodate us accordingly. We could not have asked for a more fitting combo!!! Thank you, Rico! 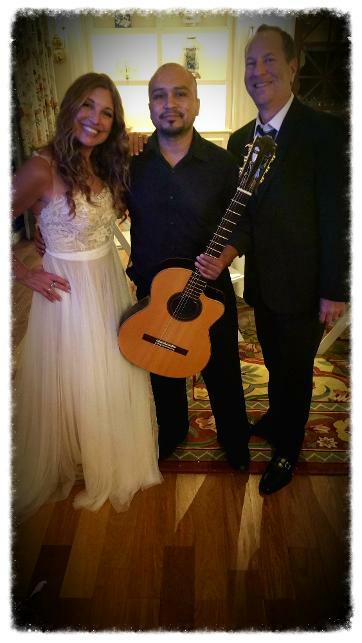 Rico's guitar, accompanied by his percussionist created a wonderful ambience for our party. Many guests specifically commented on how much they enjoyed the flavor he added. He was easy to work with in planning, showed up promptly and played beautifully; a real pro; a great experience for us. Rico listened carefully, he is extremely thorough and proactive in keeping us well informed. He displayed himself positive and pleasant manner. Rico and his co-performer responded promptly to our request. He kept his commitment without delay of follow up. The quality of their performance far exceeded all of our expectations. Rico "You are a very talented Man!!" Thank you for making our son's 1st Birthday a memorable one!!! On behalf of Young Actors Camp, I want to sincerely thank you for your wonderful performance on Saturday, June 20, 2009. You were without question, the highlight of our Fiesta. Prior to the party, your professionalism of coordinating a written contract between yourself and our organization was outstanding. Your wisdom of contractual business, assured me that you were going to perform as agreed upon. In addition, we were very impressed with your proficient and skillful methods of setting up your equipment without being invasive to our guest. The entire packages of your talents were beyond our expectations. Although your live performance is over, I am grateful to be graced with listening to your CD. Once again, thank you for making our party a great success. 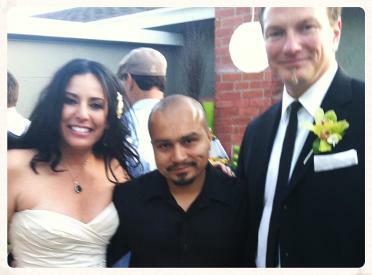 I hired Rico Espinoza for our daughter’s wedding. He and his percussionist delivered much more than anyone or I in the crowd had expected. They arrived early for set up. They found the perfect spot at the outdoor ceremony event, everyone loved them and their music. The chemistry of their music, the event and the people all came together SO nicely! Rico is professional with managing his business affairs, but what I admired most is his simple and flexible demeanor, that without a doubt complements and helps ease any potential business transaction. We will definitely contact Rico for another future event. Thank you, Gracias. Rico is great! His music was the perfect touch for our party. Very professional and very talented! 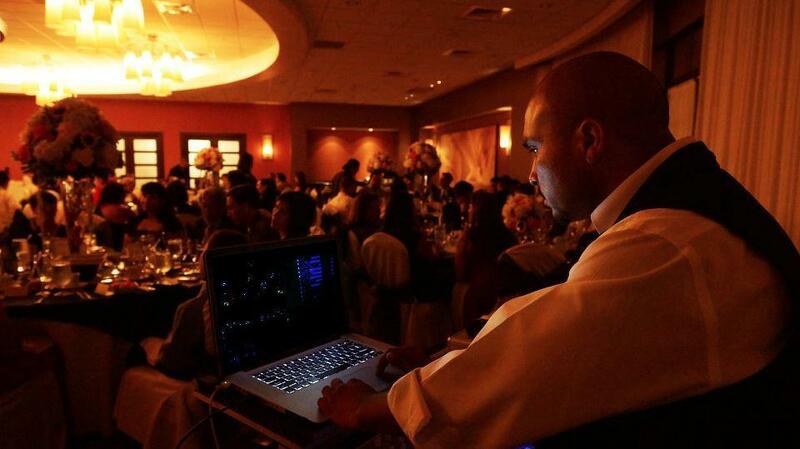 Rico played at my wedding reception and did a great job in setting the mood. Aside from his obvious musical talent he is very professional in his business dealings. I would definitely use his services again in the future. Rico is an exceptional artist and fine performer very professional. I received many compliments on my choice of wedding and cocktail hour music! Thank you again to Rico. I hope to use your talents again in the near future! Rico was great. He was on time, professional, and played beautifully. I would recommend him for your wedding. Thanks! I couldn't have been more pleased with Rico's professionalism, as well as his incredible talent on the guitar. So many of our wedding guests commented on how fabulous Rico was and I couldn't have asked for anything more on my husband and I's special day. 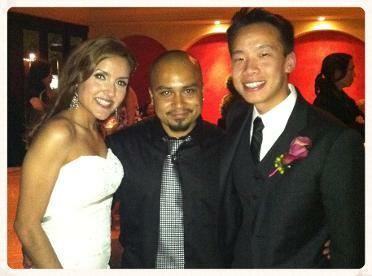 Thanks Rico for creating such wonderful entertainment and ambiance on our wedding day! This guitar player was amazing. I received so many compliments on the music. I had people tell me how it was an elegant touch. When I told everyone we were going to have a guitar musician, the response was "why", but after the wedding everyone said it was so, so wonderful. He really made my low budget wedding seem very expensive. I would not only recommend him again, but also hire him for more of my parties. Thank you so much Rico, you were GREAT!! Rico was hired for an anniversary party for 30 guests that was held outside on my patio. There were only five days to organize the party, but Rico’s prompt responses to emails eliminated much stress, especially since we had to figure out how to fit me into his schedule since he had another performance earlier that day; I did not want to hire anyone else. 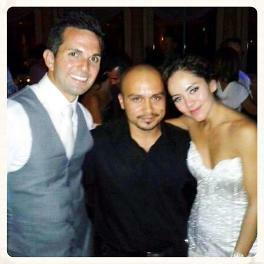 Rico’s music was wonderful and added that extra element every party needs to make it special. He played beautifully, never overpowered the guests’ conversations, conducted himself as a professional, and was very accommodating to my needs. My guests raved about his performance, and now my parties are not to be missed! ?? Rico played at a recent cocktail party for investors, bankers and attorneys. His style was the perfect background music for the event, and created the ideal atmosphere for them. He was professional and easy to work with, and I look forward to hiring him again.” ? I would like to extend a HUGE THANK YOU for the wonderful entertainment you provided for our Sunday Brunch. I appreciate your complete professionalism, flexibility and willingness to accommodate our very special group. This was a very special weekend for many of our clients and you added the perfect touch to the closing of our event. You have amazing talent and I will happily spread the word. It was pleasure working with Rico he made our wedding very special by being very prompt, professional and accommodating. He is very talented performer. We would hire him for future events and would definitely recommend him to others. We were extremely happy with his performance at our wedding. I would recommend him highly to anyone looking for a flamenco/guitar group. He was more than accommodating as well as extremely professional. There are no words that can really describe what Rico did for us on our wedding day; He was punctual, accommodating, and most importantly a major hit! Everyone at the wedding kept saying how wonderful the music was and how much it set the mood for the entire day. Rico was extremely professional in the way he carried himself throughout the night and how he collaborated with the D.J. to make sure that the transition from live music to D.J. was seamless. I cannot begin to express how thankful and appreciative we are concerning this whole experience. Bottom line is that my wedding would not have been the same without him. Rico I will always remember you dude...........Thanks again. Simply, read the testimonials, they all tell the same RICO EXPERIENCE STORY! 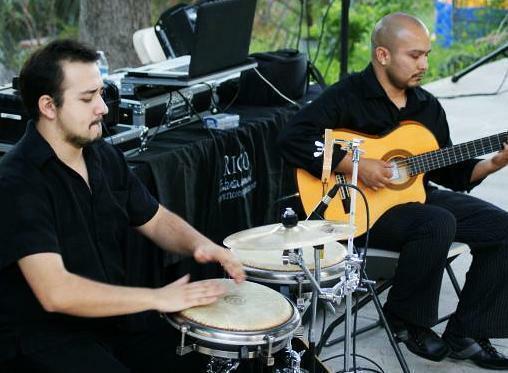 Rico and his percussionist were a HUGE part of EVERYONE'S experience at our Wedding. In a word, OUTSTANDING! It's clear to everyone whom attended...RICO'S LIVING HIS DREAM, WHEN PERFORMING! THANK'S RICO!! First of all, our performance with Las Memorias was a success! I am sorry that it was behind schedule, and I hope it wasn't too much of an inconvenience for you. You are a gifted Musician and quite easy to work with, especially under tense circumstance. You made that performance one that not only the Audience will remember, but I will too. I do hope we get to work with each other soon. Thank you once again for helping me out! Rico is very professional, and is perfect for our corporate functions. His style ads just the right atmosphere to a cocktail party for our financial investor conferences.” Thanks again, it was great having you there. Looking forward to working with you again in the future. Your services were wonderful. The music really contributed to the success of my party. The guests and I thoroughly enjoyed the music. You are very professional and you made it a night to remember. Thank you very much. I am enjoying the CD too!?? --Phyllis Bradford, Los Angeles, CA ??? Rico is an extremely professional and talented musician, he added that extra wow factor to our event, and was fully self sustaining. His confidence and abilities as a musician were much appreciated, as he allowed us to focus on throwing the event rather than having to accommodate to some high maintenance performer. We thank you again Rico! ?? You really made our Party a hit, with your amazing musical talent! I am so grateful to have met you; everyone has called to thank us for having you here. I love your music, and today I am going to create a new piece of Art playing your CD, it is heaven. I create to music, and haven't had a painting streak in awhile until I heard your music. We will be in touch soon. It was awesome to have you perform at our wedding! Everything you did was extremely professional from the day I first contacted you, right on through the ceremony. The music was beautiful and it was our pleasure to have you there. --Terry Z. Laguna Beach, CA ?? WOW!!! Rico provided the music for our ceremony and reception. He came an hour early to set up, lent us his microphone for our toasts and took requests. He only stopped playing for the ceremony and the toasts. Otherwise he played the entire time!!! We simply cannot recommend Rico enough! He lent a fabulous ambience to our entire event! We received compliments about the music from many guests.?? Mr. Espinoza was fantastic! He was early and dressed just as we had discussed. He was professional and was pleasant. I would definitely recommend him to anyone. He made our event complete. Rico was very talented and professional and his music was just ??wonderful!!!! Everyone complimented his music and he was very ? ?self-sufficient with setting up. Would recommend for another event! -?? Rico performed at the cocktail hour of our wedding and we received so many compliments on his performance. Rico was very reliable and extremely professional. We recommend him highly! We were pleased beyond words! Our expectations were not just met but most definitely exceeded. Rico was professional, his music was elegant and we could not have asked for a more fitting musical evening. Rico, thanks you so much for making my parent’s 50th Wedding Anniversary so memorable. Rico was the perfect addition to our wedding ceremony and reception. The pre-ceremony music fit beautifully with the setting, and established a perfect tone for the entire afternoon. He played exactly what we asked of him during the ceremony, transitioning flawlessly between songs. During the cocktail hour, his musical accompaniment kept the guests entertained, but wasn’t at all over bearing for those family and friends who wished to catch up with one another. The music was beautiful and did exactly what it was supposed to do, underscore our most special day. As great as the music was, the thing that impressed me the most about Rico was his true politeness and professionalism; not only in dealing with myself and my wife, but our coordinator and guests. He provided above and beyond service, was never demanding, and most importantly, played truly beautiful music. It was a pleasure working with him, and I hope to hear him play again very soon. We were extremely happy with your performance and received many compliments. We appreciate how your performance enhanced our beautiful wedding day! Thank you for making that day special for everyone involved in our wedding. We definitely would recommend your services to family and friends. 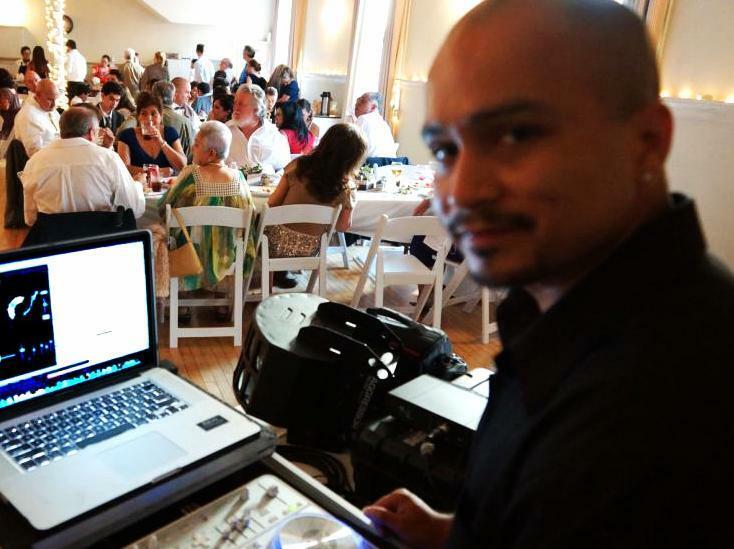 "My wife and I hired Rico and a percussionist to play during our wedding ceremony and the ensuing cocktail hour this Summer (July 2010). Rico was a big hit with our wedding guests and I received numerous compliments about the music and how it helped to set a great tone for the event. Rico was extremely professional throughout the wedding planning process and he worked well with our planner to ensure that everything went smoothly the day of the wedding. 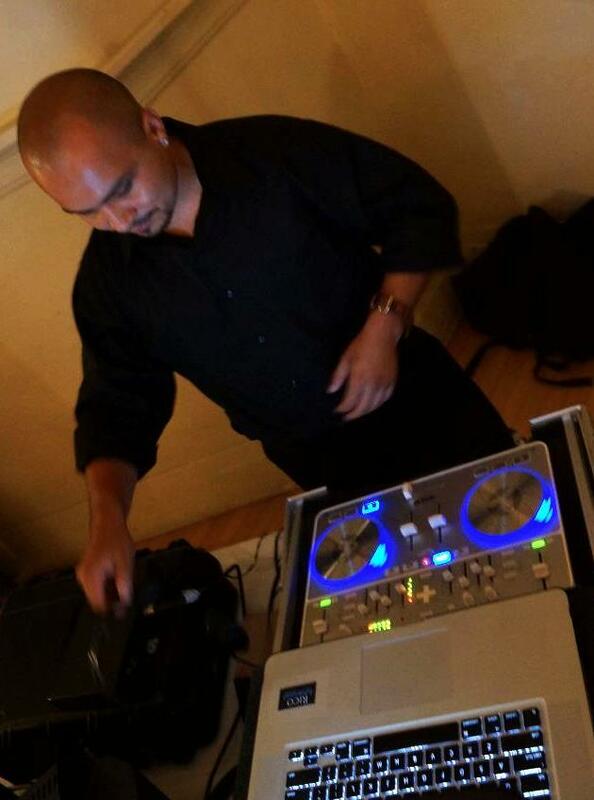 I would highly recommend Rico for any couples considering similar music for their wedding and I would absolutely be willing to use Rico again for other parties." Rico Espinoza, was a True pleasure. He arrived early to set up before our guest arrived. He was extremely professional and talented. We cannot wait to work with him again. Rico and his crew were great, Guitar playing perfect, Percussionist of the hook and Rico as the DJ; choose the perfect music. The only thing my wife and I regret is not being able to enjoy the guitar playing more (had to hear from everyone else how great the music was). Total professionals and would definitely recommend Rico and his crew anytime. Thank you for everything you provided on our wedding day. Your willingness to learn a couple "special" songs for us, and the skill with which you made those songs your own, helped add to our wedding ceremony being just as we hoped. Your professionalism throughout the evening helped keep my wife and I at ease, and make our wedding ceremony and reception a wonderful experience. Great music, professional and friendly!!! Our guests kept telling us what an amazing job Rico and the percussionist did for our pre-ceremony, ceremony and Cocktail hour. They knew the perfect songs to play and we didn't even have a playlist for them. Everything went very smoothly - from the initial meeting to the day of the wedding. We never had to worry about anything. I will be hiring them again in the future and would highly recommend them to anyone! They really made our day special. Thank you for everything Rico! We just hired Rico Espinoza to play for our wedding ceremony and during the cocktail hour. He did an amazing job and everyone loved his music. We received numerous compliments from our guests, and my new husband and I thoroughly enjoyed every song he played. In addition, he was very organized, punctual and extremely professional. I would recommend him to anyone planning an event, and I would definitely hire him again. Rico played at our wedding at the San Ysidro Ranch in Montecito and did an absolutely AMAZING job! We cannot say enough wonderful things about him. He was professional throughout the planning process, he always got back to us right away, and he was our first vendor to arrive on our wedding day. He played solo guitar at our ceremony and then had accompaniment on the bongos for our cocktail hour and dinner. We had numerous compliments on the music from our friends and family, and it really pulled the ambience of the setting together. We highly, highly recommend him, and will most definitely use him again for future events! Thank You Rico!! Rico performed during the cocktail hour and during dinner at our recent wedding reception in Las Vegas. He was very professional and communicated regularly with us to ensure he understood what we wanted. He set up well in advance of our guests arriving so that he was performing as people arrived. His sound system was of excellent quality, and he even stepped up to keep our speeches running smoothly when the in house PA system microphone failed. He is an exceptional guitarist! Our guests are still commenting on his music. We can't say enough nice things about Rico, and would hire him again in a second! Great job, Rico, and thanks for being a part of our big day! Rico's sound was perfect for our outdoor wedding! He considered all of our requests and was very responsive to any questions my husband and I had during the wedding planning process. I would highly recommend his services to anyone seeking stylish acoustic guitar. Ever since our initial contact with him, he was very professional and prompt at returning calls and answering any questions or concerns we had. We hired Rico with his Duo, a percussionist, we were very pleased with their performance. Very punctual. This duo was perfect for our indoor reception. Most if not all of our wedding guests complimented Rico's unique sound of music. Entertainment to us meant everything for our wedding and he met all of our expectations. We would definitely recommend his services to everyone that is in need of great entertainment. Thank You Rico! Rico is an AMAZING GUITARIST!!! I hired him to played for two (company/professional) events Oct. 19th and Oct. 22nd and he was a big hit!!! Rico is VERY professional, and easy to work with ( last minute, we asked him to play longer then our contract stated, and he did without any hesitation.) Due to the nature of our corporate events, we had asked him to play "softly" and more as "background music" and he did so, beautifully. His music MADE our events (Oct. 19th - Oct. 22nd) so special by adding the perfect touch of class to such important nights. I WILL hire him for future events, without question. We were absolutely delighted with the performance and entertainment you provided at our wedding. 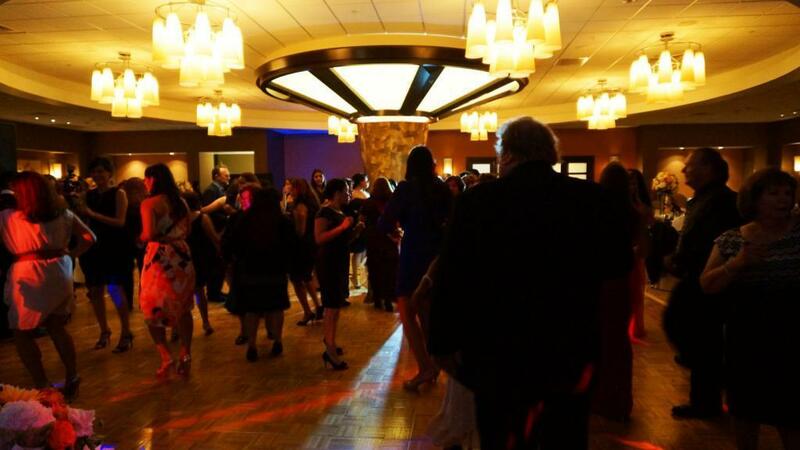 We received many compliments on the live music and our family and friends enjoyed dancing the night away. We wanted our guests to enjoy themselves and thanks to you our mission was accomplished. We were extremely satisfied and would definitely recommend you to family and friends.